As the company says themselves about their product, the Rebel Treadmill 1000, “it’s built for the office”. Overall, we have come to discover that this product is very much built with one purpose in mind. The company has clearly made decisions to change features and adapt the product creating a simple and effective office product, however, this means also creating a few shortcomings for some users. If you are looking for a low-cost, simple, and compact under desk treadmill, then the Rebel Treadmill 1000 will suit your needs. If you feel like something a bit more robust and full-featured, then we recommend thinking twice about this product as you may want to compare it with other options. If you already own a standing desk, then chances are you’ll want to increase the amount of activity you do during the day. Standing in and of itself is greatly beneficial to your office well-being, but many people are turning to other forms of office exercise to get additional activity, exercise, and calorie burning into their daily routine. Under desk treadmills have become extremely popular among standing desk users for their ease-of-use: just slide it under your standing desk and you can get started! On top of that, it has been shown that increased activity while working, whether it be a balance board, under desk cycle machine, or light walking on a treadmill, can increase your concentration levels and productivity. Among the different styles and options available, today we look at the Rebel Treadmill 1000, a base specifically designed to be used in conjunction with a standing desk to create what is commonly known as a treadmill desk. The Rebel 1000 is an affordable, lightweight, and compact solution to walk while you work. 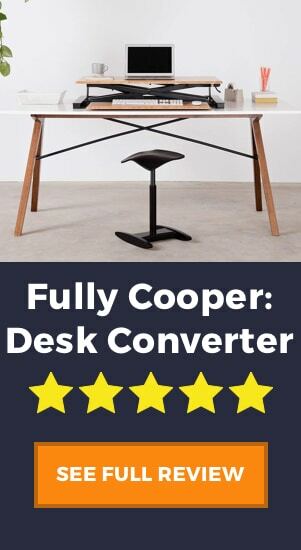 Its low profile design is ideal for standing desks, and it’s size and weight make it an easily maneuvrable unit. Rebel Desk is a US-based company that sells standing desks, desk chairs, and most importantly their Rebel Treadmill 1000. This product seems to be relatively polemic when it comes to its reviews, and we’re going to dig a little deeper to find out why. If you take a look on Amazon you’ll see that the Rebel Treadmill 1000 has fantastic reviews with over 80 people giving it an average score of 4.6 out of 5. Compare this, however, to other reviews of the product in which we see a measly 1 star rating. HANDY TIP: Remember, a treadmill will add close to 5 inches to your height, so you’ll need a stand-up desk with much greater range. 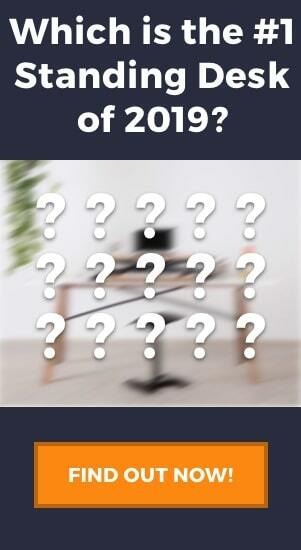 Take a look at our list of the tallest desks to see what’s available. Speed, time, and distance with 20 minute smart memory. 8″ x 3″ in size. 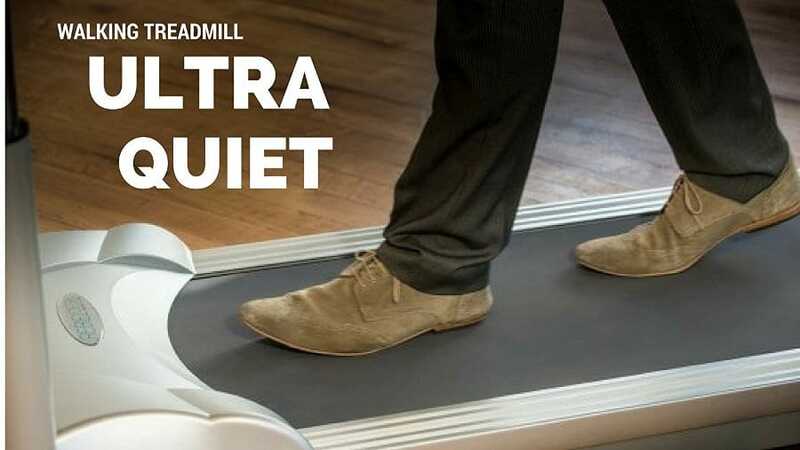 As we’ve said, this product is pretty polarized in its reviews, so we will look at what people say about it in order to give a completely fair and unbiased overview of this treadmill. The biggest positive factor about the Rebel Treadmill 1000 is the price. 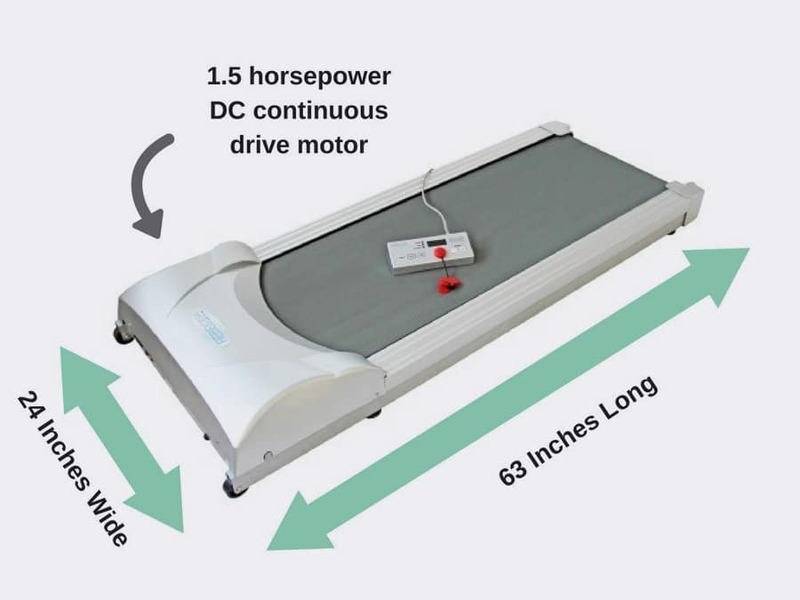 It’s certainly not the cheapest product on the market, but when compared to others of similar size, build, and features, this treadmill is definitely very affordable. The machine itself is quiet when its running, creating a noise of around 57 dB. It has a small motor which runs near-silently, and the majority of the noise comes from the belt. We must say that there is a fair bit of noise when walking on the machine, however, and some users have found that the sound of their own footsteps is bothersome to themselves and their co-workers. In our opinion, this is where the Rebel Treadmill stands out from other products. Many people who want an office treadmill are looking for something lightweight and easy to slide in and out from under their desk. Weighing only 88 lbs, it is up to 30 lbs lighter than some of its alternatives. Not only that, but it has two wheels in the front, allowing you to lift the back and roll it around with ease. Ideally, when you are buying a new product, you don’t want to have a reason to send it back! In our view, though, Rebel is confident that the Treadmill 1000 will please the customer. You have 30 days from the date of receiving the product to try it out. If you don’t like it, send it back for a full refund, no questions asked. The console is small and lightweight, much like the treadmill itself, and won’t take up much space on your desk. What we like about the console is the simplicity. 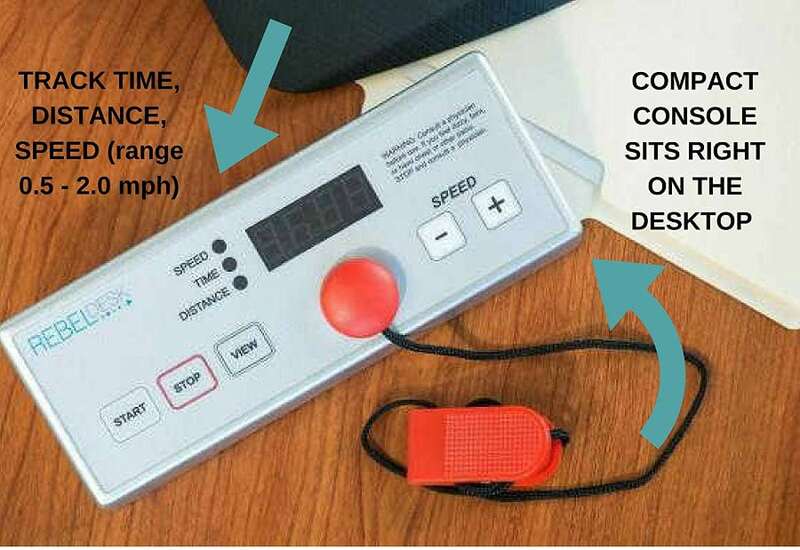 You can track your time, speed, and distance walked, and then save this information for up to 20 minutes after stopping your walk. This is great for those who are tracking their daily exercise with apps like MyFitnessPal, or with a Fitbit or similar device. Unlike some other under desk treadmills that can reach speeds of up to 4 mph, the Rebel Treadmill has a max speed of 2 mph. You might remember that we said that this desk is very much built for the office: well this is one of the main issues. 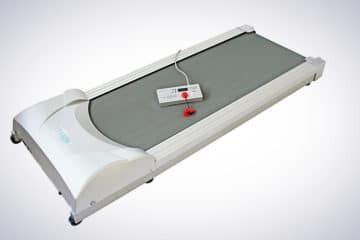 People who buy an under desk treadmill might want a bit more adjustability in terms of speed, especially if they want to use the treadmill while not working. Although we think that 2 mph is plenty fast if you are working, it is true that some people buy these treadmills for multi-purpose walking (i.e. while working, or just for fitness). If this is the case, then you might want a product that can give you a more intense workout. Another complaint heard by some is the lack of incline feature. Now, this isn’t too common among more simple under desk treadmills, yet there are some that offer this feature. An incline treadmill is a great way to get a good workout and many people love this feature. As we mentioned before, the company has clearly made certain decisions to create a product that is more simple, removing features that add bulk and cost. Rebel recommends that if you are over 250 lbs that you should not use this product. We, from our own knowledge of these products, would possibly even drop this number closer to 200 lbs. 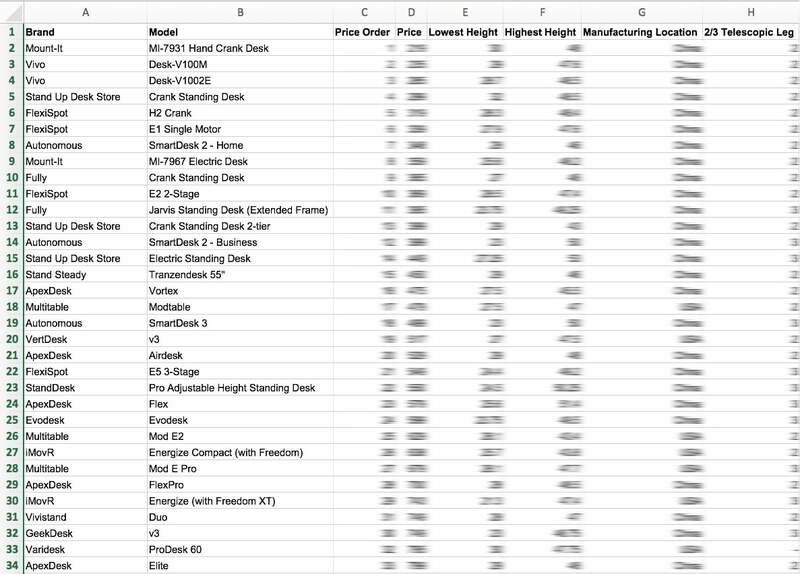 If you look at our buying guide, you’ll see that this desk is on the lower end of continuous horsepower. The lower the horsepower, the more difficult it will be to move heavier users. Lastly, there have been issues with the packaging and delivery of the unit. A few people have mentioned that the box comes damaged, as well as some minor damage to the product itself. Although we don’t see this as a problem with the treadmill itself, it is a factor worth mentioning. The reason we don’t consider this a deal breaker is that it has only been mentioned by a couple of customers, and you also have the money-back guarantee to give you peace of mind. From our research, we give the Rebel Treadmill 1000 a final score of 3.5 stars. Although we are not quite as judgemental of the product as some reviews, we also don’t give it as high praise as the users from Amazon. Overall, this product is a one-trick-pony. Some people say that it lacks features and maybe isn’t as robust as alternatives, but we feel that this is a direct trade-off for creating a light and simple product. It is affordable, compact, lightweight and purpose-built for an office. If you are a searching a pure-bred under desk treadmill without too many bells and whistles, then this product is definitely worth considering.